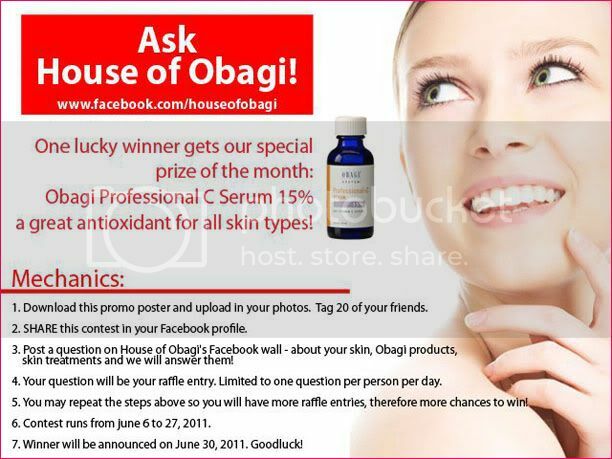 One of Manila's premiere skin care centers, House of Obagi, is having a contest and the mechanics are fairly simple! Plus, the prize at stake is an Obagi Professional C Serum 15% which is worth a lot, I might as well be joining myself! Promo goes on till June 27 and the lucky winner will be announced on the 30th. Goodluck!